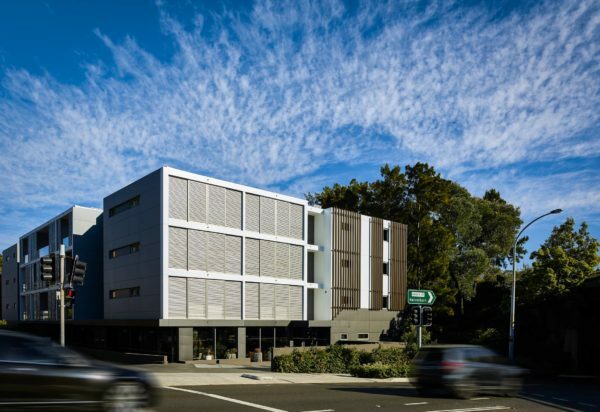 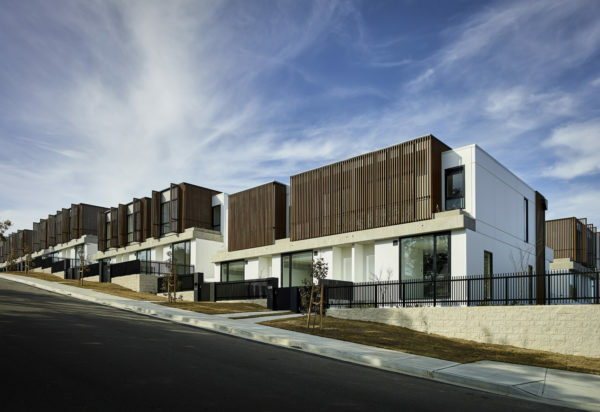 East apartments in Edgecliff, Sydney, bring life and prominence to the old Metro Inn and the corner site of New South Head Road with twelve high-end contemporary residences. 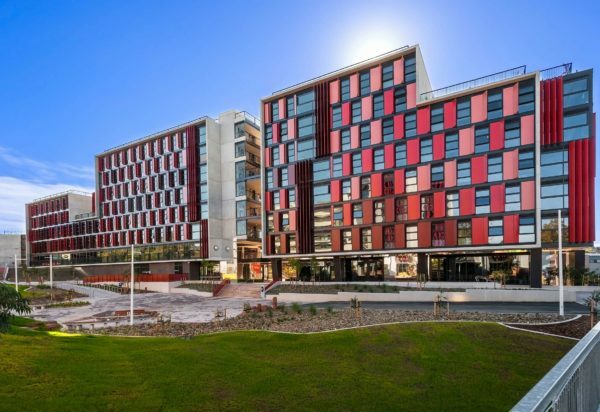 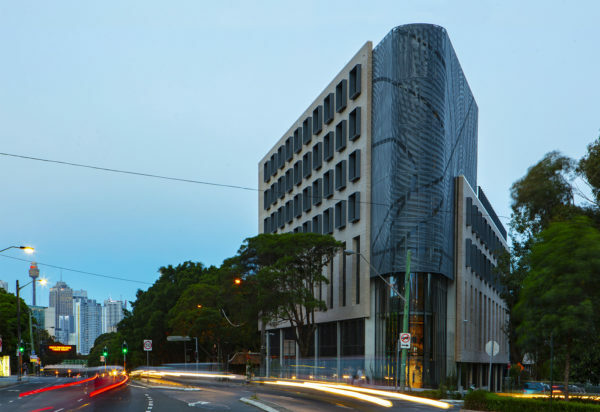 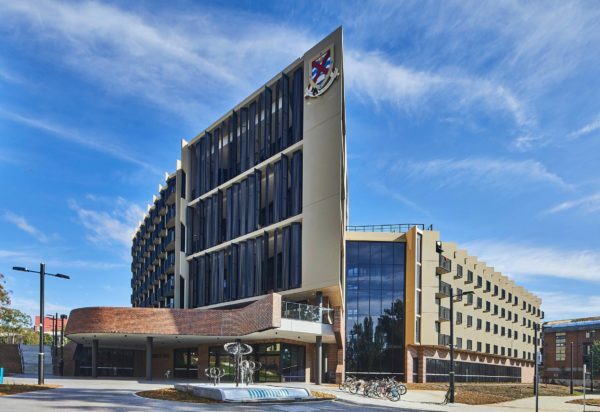 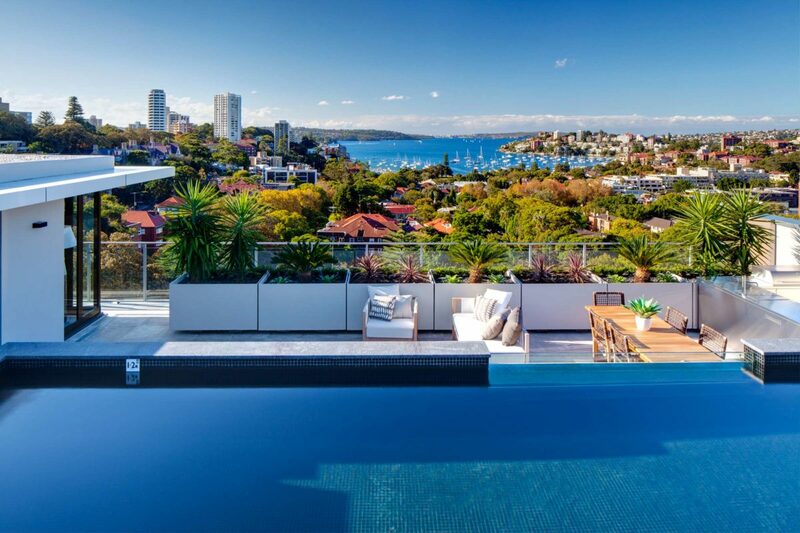 The project was designed on behalf IPM with the express goal of capitalising on view opportunities to Sydney Harbour and harnessing the site’s proximity to Edgecliff Station and Double Bay. 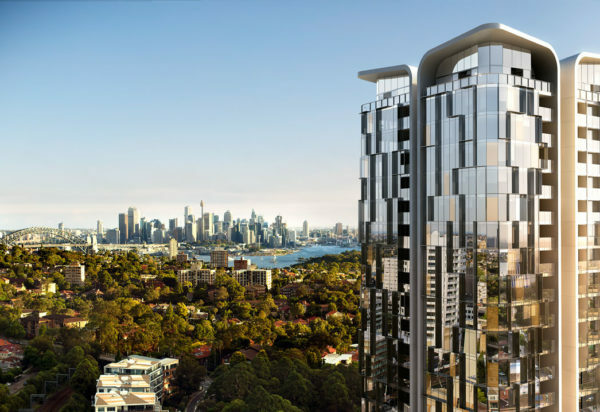 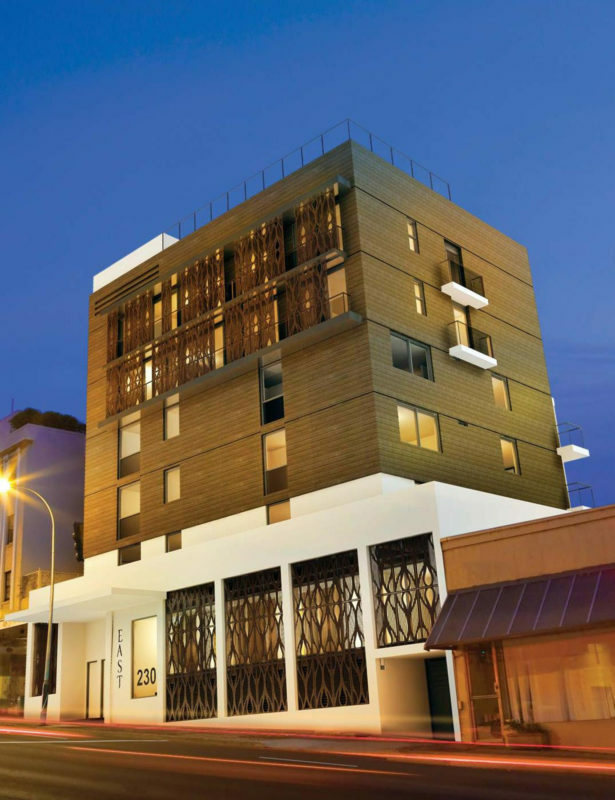 The corner site is conceived as a gateway to Double Bay, with architectural emphasis brought to the facade design. 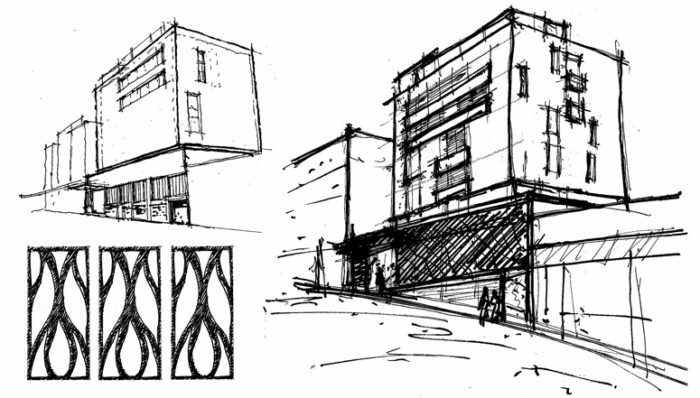 The exterior combines a terracotta facade system with patterned metal screens. 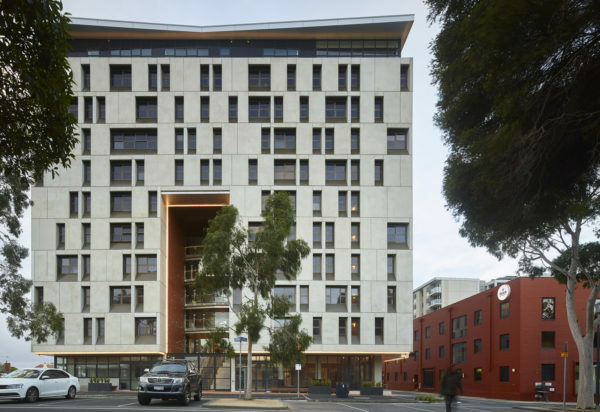 The terracotta emphasises tactility and material richness through a very practical, durable and robust system. 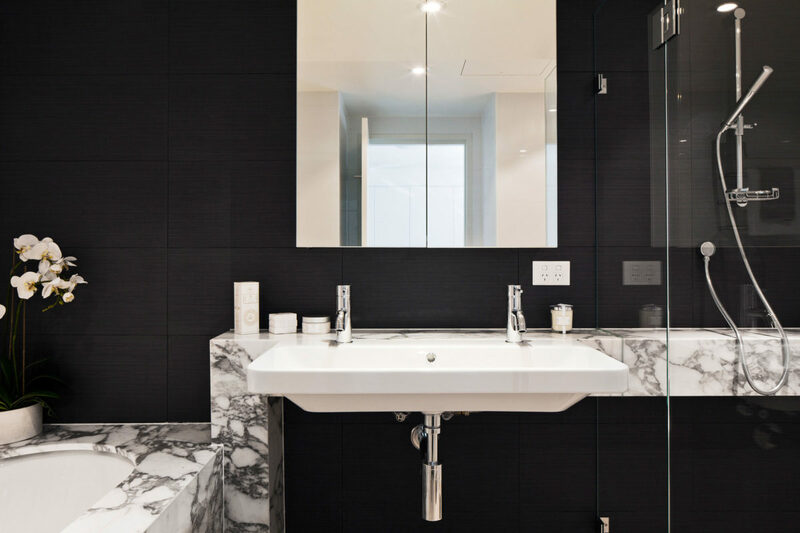 Bespoke screening brings visual interest and promotes a sense of recognition and ownership. 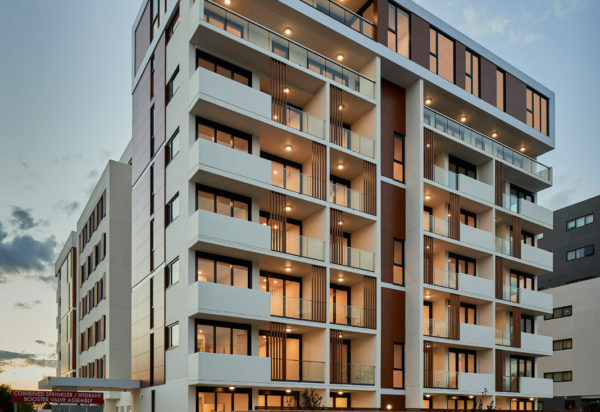 East apartments include studio, one and two bedroom apartments and a whole floor, sub-penthouse. 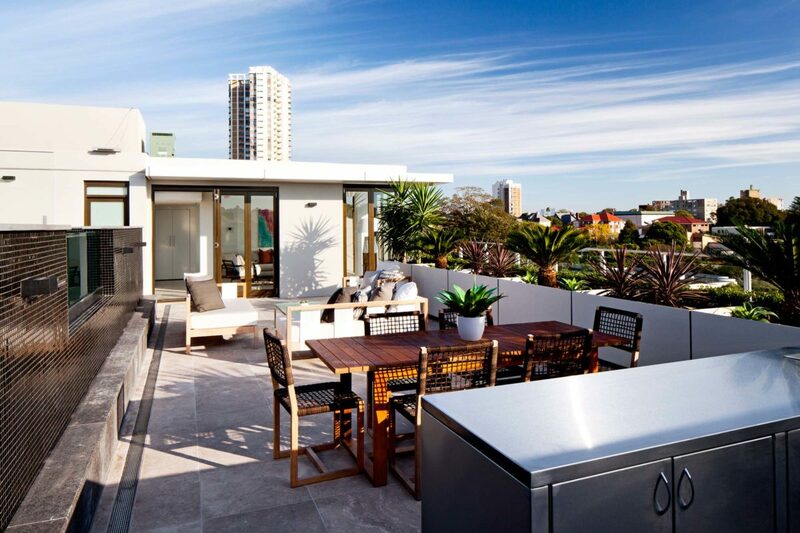 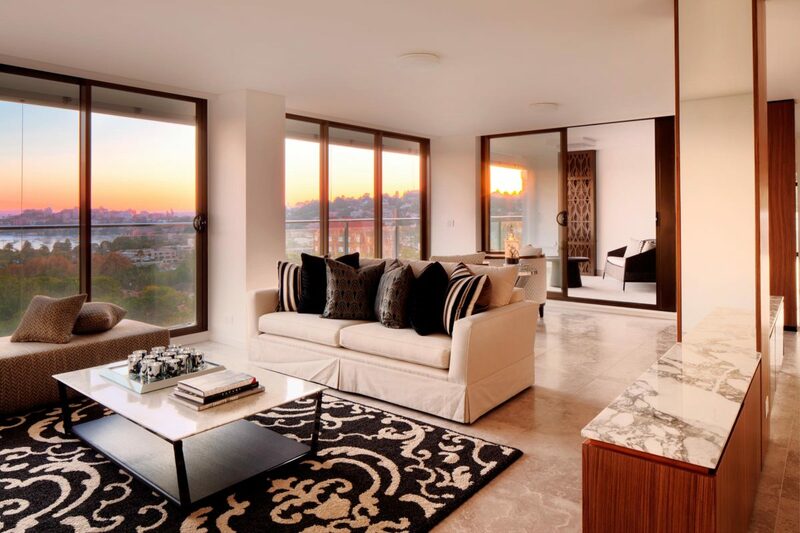 A two level penthouse includes generous livings spaces and outdoor terrace with outdoor kitchen and swimming pool. 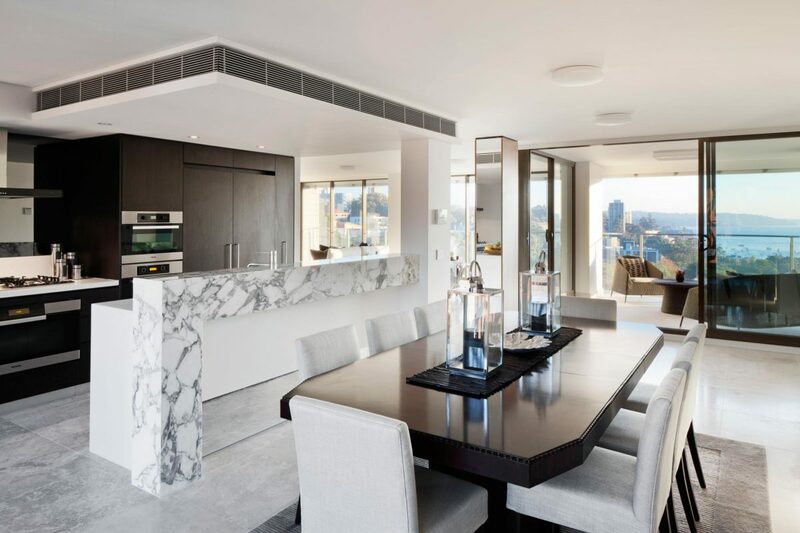 Interiors are designed in association with RLD and combine natural stone and timber including imported Italian Arabascata marble (bathrooms) and Caesar Stone (kitchens).